4.0 out of 5 starsFear is one of the worst feelings you can image, and I felt restless reading Kitty’s story. 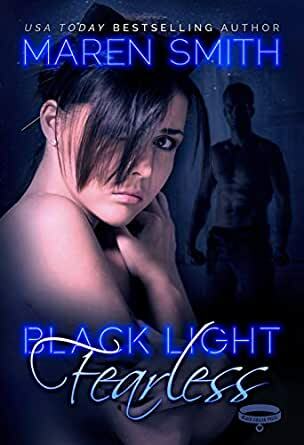 I love the Black Light series, and Fearless didn’t disappoint. What an amazing book Ms Smith, couldn’t stop reading once I start it. warning label stating danger can attack any minute. Fear is one of the worst feelings you can image, and I felt restless reading Kitty’s story. Noah tried to help, but Kitty didn’t want open that door yet, so he works like the Observer, protecting and guiding, pushing here and there, pieces like a magnetic field, the attraction is so loud I could feel it in my gut. Australia spider is the most dangerous in the world! 5.0 out of 5 starsFearless Kitty.. This series just keeps getting better...with Maren Smith’s installment we get to read more about what happens to Kitty after the little cliffhanger we had from Shameless (Roulette Redux) where she escapes an abusive Dom, and with the help from friends Kitty is sent to Australia and into the care of Noah. Noah is an friendly down to earth Dom who has a few simple rules in life and has helped give Kitty a feeling of belonging somewhere but as their friendship develops he finds himself needing more but doesn’t want to scare Kitty off. This story takes you on an emotional rollercoaster from despair to elation with a couple of moments that give you a smile and hope for Kitty and Noah...I loved this series and would not hesitate to read this one again and again.. Honestly, I don't think there has been a story that I haven't liked in this series. I don't think this story would be to everyone's tastes, as it deals with kitten play & abuse but it is a fantastic read. The characters & their actions/reactions seem so true to life & I love the insight the story gives, particularly into Kitty's mindset. As an Australian, I sometimes struggle with books written by non-Australians that are either set in or include Australian characters but I'm really pleased to say that apart from only a couple of minor annoyances, Noah's character is typical of rural Australian men. Loved the humour in the suggestions that everything in Australia will kill you, but my favourite was the killer koalas!